It's simple really - you answer some questions about your business and our bot does the rest. What is the Big Brand Tool? We know how difficult it is to create a brand when your company barely exists. 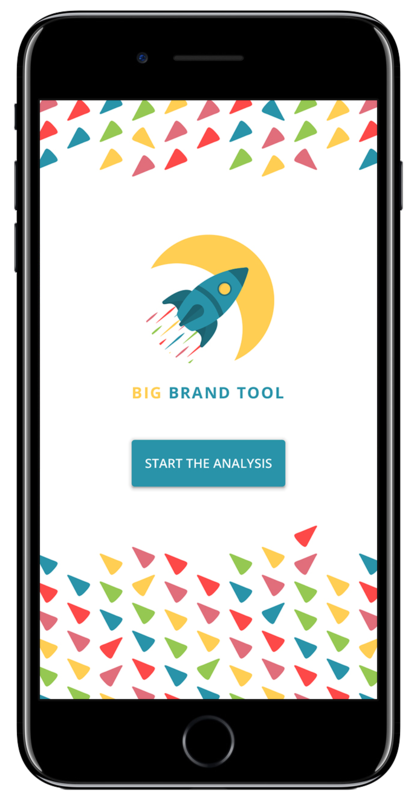 The Big Brand Tool was created to give entrepreneurs more insight on your brand and how it reflects your core values. Our tool will ask you a few questions about your business values, don't worry - they're pretty straight forward. Our bot will analyse your answers and cross reference them with our assets and data from other users. Our bot will pull together a brand identity based on your values, reflecting your ethos and emotional vibes. By analysing your answers, the Big Brand Tool will translate your values into a visual identity that reflects your ethos, direction and ambition. No pre-made identities. No icon selection. No duplication. Vibrant colours using colour psychology and clever branding theory. See how a logo could look using your colour and font assets. Fonts are hard to pick, so we pick a few free and pro ones for you. You need to shout about your brand, so have a read and get started. There's loads more to a brand than this - here's a good place to start. No credit cards. Completely free. What does this tool actually do? 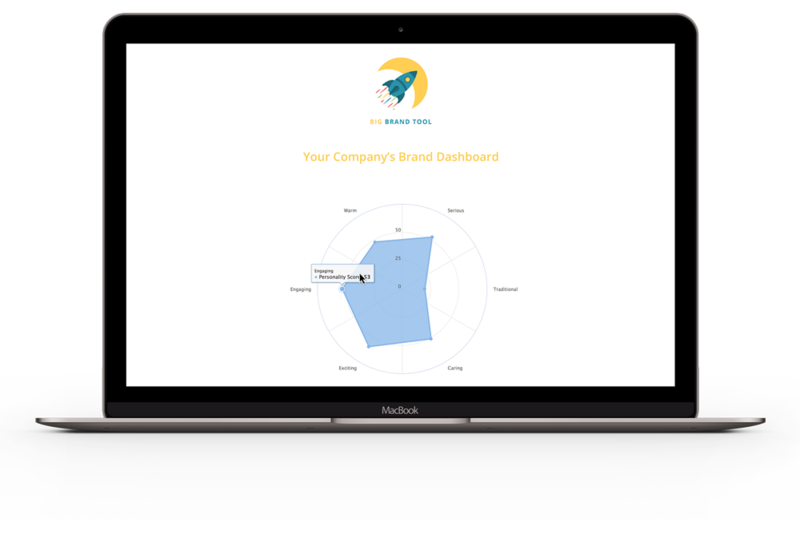 Put simply, the tool takes in your perception of your company and produces a load of interesting data and actionable points to build a brand around it. This is perfect for letting you know where your brand personality lies on different emotional scales. We’ve tried and tested this over and over again and refined our algorithms to give you the best response. It’s not perfect (and it probably never will be), but hopefully it’s pretty close. We want to know if it isn’t! We’ve tried to focus on a few emotional areas that you can relate to and have built the questions around them to get you the best results. These include things like how engaging you are, how warm you are to outsiders, and how seriously you take yourself. Depending on your answers, the tool will offer suggestions on how to appear warmer, how to be taken more seriously, or a new colour palette to try out. The data you get is NOT a result of lengthy focus groups or customer questionnaires - it’s an automated version of a brand process to calculate a brand personality. That being said, we’ve refined the process and we think it’s pretty tight by now, so the results should at least give you some pointers or advice. If there’s anything you disagree with, please let us know. We’re always improving this. Who is this for and what's the aim? We’ve created this mainly for entrepreneurs to take step out of their business and learn about their brand, but really anyone can use it. We’ve had agencies use this tool to find ways to improve client branding and validate their own perception of someone else’s brand. We’ve created this to help people and make the idea of branding more widely understood. It’s not just a logo, you know!